Many people, especially young ones, prefer to go beyond the confines of their own country and seek to study abroad. The prospect of living somewhere new, learning a new language, and experiencing a new culture is exciting. 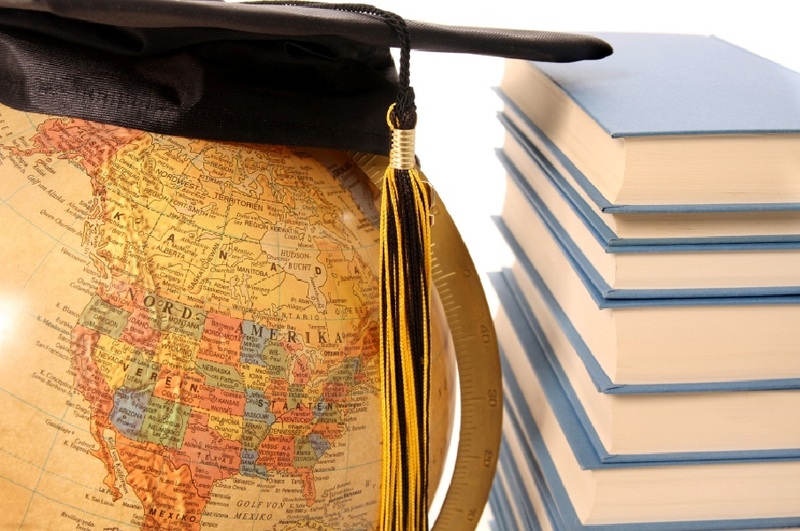 However, being able to study abroad is a process that will take preparation, money, and no small amount of patience. There are many who, post-graduation, will return to their home country and live out their lives with their new degree. On the flip side, a good percentage of others are studying abroad because getting a degree in that country will allow them easier access to immigrate there. Prior to beginning the application process, you should first analyze what it is you plan to do once you have completed the studies. This will have a massive impact on your course as well as your future in the university you choose. Now that you have thought long and hard about your postgrad plans, it is time to begin looking for the right university. Have at least two possible universities you plan to apply for picked out. This will help you evaluate your finances better as well as see how much in grants and scholarships you can get from each. Once you have your possible universities chosen, you should then look at the various courses they offer and decide which best suit you. Individuals who are looking to stay in the country after graduation may want to consult a school advisor on high demand careers. If a certain career is in high demand and the student graduates in that field, they will have a higher chance of being allowed to stay in the country post-graduation for employment. Get your high school test scores rounded up (i.e ACT, SAT), as well as your high school diploma. Those individuals who have already been to a previous university or college should have any credits and reports available for application to the university. While your prior credits may not transfer, it will help the admission office look more favorably towards your application. Additionally, you should check language requirements and obtain required certificate. In English-speaking countries the most common ones are IELTS and TOEFL. There is likely going to be a fee for the application so pay that, and submit all of your documents, as well as an application essay, even if one is not required. This application essay should highlight your individuality and uniqueness, focusing on how that university would benefit from having you as a student. Once you have been accepted to your university of choice, then begin searching for various scholarships to help cut the cost on whomever is funding your education. Scholarships may not pay for the full tuition, but you can apply to an endless amount in hopes that each one awarded to you cuts the final tuition price further and further down. After you have your scholarships exhausted, you will be left with the final tuition payment. Many choose to stay on campus during their schooling, but others realize that they can cut costs by living off campus. Look around for your accommodation and secure it prior to applying for your visa. Your visa will be denied if the immigration and border patrol officers suspect you have inadequate housing during your school year. Your tuition needs to be paid for as well as your housing and any subsequent fees. This is a crucial step that needs to be done prior to applying for your student visa. Understand as well that your visa application will cost you a fair amount too. Immigration and border control will require a substantial amount of documentation for them to approve your student visa application. Not only will you need to show that you have adequate funds for the entire stay prior to you visiting, but you will have to have supporting documents on all of your scholarships, paid tuition, admission acceptance, your housing, and your living expenses. Additionally, you will likely be questioned extensively prior to entering the country once you do receive your visa. No matter where you study abroad, be it the beautiful country of Australia, or up in a colder location such as Canada, a migration agent is necessary. Not only can they help you navigate the difficult steps to getting your student visa approved, but they can also significantly hasten the process, circumvent needless paperwork, and steer you in the right direction for your study abroad. You can find more information on help that migration agents provide here. It might seem complicated, but you can always contact universities for more information and help, as well as get in touch with other students on forums. What is really important is that you start the procedure on time, at least a year prior to the academic year you want to enroll in.